As you develop your exhibiting strategy, determine whether a custom trade show display or using trade show rentals will best serve your marketing needs. A custom display gives you total control over the design, materials, configuration and functionality of your booth. Yet, renting may be a cost-effective alternative that you can adapt through graphics and signage to reflect your company image and sales message. Before deciding on either a custom display or trade show rentals, carefully evaluate your needs and then thoughtfully research what options are available and their related costs. As a starting point, answer these questions to help determine whether producing a custom exhibit or using trade show rentals is best for you. What is the role of exhibiting to your overall marketing and sales strategy? What are your specific objectives for exhibiting and how many shows do you plan to attend throughout the year? In which markets will you be exhibiting? How many people will attend the trade shows where you will exhibit? What size booth do you need to accomplish your objectives? 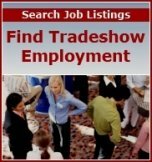 How many people will attend the trade shows with you and work in your booth? What image and messages do you need to deliver through your display? How much money do you have to spend for design, signage, shipping, storage, insurance, etc. for your booth? Additionally, you will want to consider how your exhibiting needs and sales objectives may change in the future. Display design firms will work with you to determine booth design, lighting, cost, and turnaround. Many exhibit houses across the country offer both custom and rental alternatives, and can offer suggestions on how to use rentals effectively to fulfill your requirements. In addition, purchasing and adapting a used exhibit is a third alternative worth considering.